A polymeric light delivery system with a C-shaped metallic nanoaperture is proposed for the heat-assisted magnetic recording. This light delivery system has high optical efficiency and easy fabricability in the low temperature process that is compatible with the conventional magnetic head. The light delivery characteristics are demonstrated analytically and experimentally. In particular, the near-field spot size of the light delivery system was measured using the virtual scanning near-field optical microscopy (VSNOM) method, in which the probe tip geometry is not reflected. The probable spot size of the developed light delivery is under 100 nm at a wavelength of 780 nm from a polymeric light delivery with the C-shaped metallic nanoaperture. A. Harootunian, E. Betzig, M. Isaacson, and A. Lewis, “Super-resolution fluorescence near-field scanning optical microscopy,” Appl. Phys. Lett. 49, 674–676 (1986). D. P. Tsai, A. Othonos, M. Moskovits, and D. Uttamchandani, “Raman spectroscopy using a fiber optic probe with subwavelength aperture,” Appl. Phys. Lett. 64, 1768–1770 (1994). N. Van Hulst, J.-A. Veerman, M. Garcia-Parajo, and L. Kuipers, “Analysis of individual (macro)molecules and proteins using near-field optics,” J. Chem. Phys. 112, 7799–7810 (2000). E. Betzig, A. Harootunian, A. Lewis, and M. Isaacson, “Near-field diffraction by a slit: implications for superresolution microscopy,” Appl. Opt. 25, 1890–1900 (1986). J. Hsu, “Near-field scanning optical microscopy studies of electronic and photonic materials and devices,” Mater. Sci. Eng. R. 33, 1–50 (2001). A. Partovi, D. Peale, M. Wuttig, C. A. Murray, G. Zydzik, L. Hopkins, K. Baldwin, W. S. Hobson, J. Wynn, J. Lopata, L. Dhar, R. Chichester, and J. H.-J. Yeh, “High-power laser light source for near-field optics and its application to high-density optical data storage,” Appl. Phys. Lett. 75, 1515–1517 (1999). W. A. Challener, T. W. McDaniel, C. D. Mihalcea, K. R. Mountfield, K. Pelhos, and I. K. Sendur, “Light delivery techniques for heat-assisted magnetic recordings,” Jpn. J. Appl. Phys., Part 1 42, 981–988 (2003). M. Alex, A. Tselikov, T. McDaniel, N. Deeman, T. Valet, and D. Chen, “Characteristics of thermally assisted magnetic recording,” IEEE Trans. Magn. 37, 1244–1249 (2001). P. L. Lu and S. H. Charap, “Magnetic viscosity in high-density recording,” J. Appl. Phys. 75, 5768–5770 (1994). X. L. Shi, R. L. Thornton, and L. Hesselink, “A nano-aperture with 1000× power throughput enhancement for very small aperture laser system (VSAL),” Proc. SPIE 4342, 320–326 (2002). S.-M. Kang, J. Han, T. Kim, N.-C. Park, K.-S. Park, B.-K. Min, and Y.-P. Park, “Multiple excitation of localized surface plasmon to create a 10 nm×10 nm strong optical spot using an Au nanoparticle array-based ridge waveguide,” Opt. Express 18, 1576–1585 (2010). 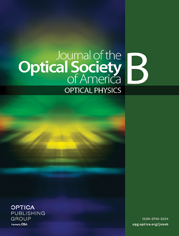 I. K. Sendur and W. A. Challener, “Near-field radiation of bow-tie antennas and apertures at optical frequencies,” J. Microsc. 210, 279–283 (2003). K. Tanaka and M. Tanaka, “Simulation of an aperture in the thick metallic screen that gives high intensity and small spot size using surface plasmon polariton,” J. Microsc. 210, 294–300 (2003). K. Tanaka, M. Oumi, T. Niwa, S. Ichihara, Y. Mitsuoka, K. Nakajima, T. Ohkubo, H. Hosaka, and K. Itao, “High spatial resolution and throughput potential of an optical head with a triangular aperture for near-field optical data storage,” Jpn. J. Appl. Phys., Part 1 42, 1113–1117 (2003). T. Rausch, C. Mihalcea, K. Pelhos, D. Karns, K. Mountfield, Y. A. Kubota, X. W. Wu, G. P. Ju, W. A. Challener, and C. B. Peng, “Near field heat assisted magnetic recording with a planar solid immersion lens,” Jpn. J. Appl. Phys., Part 1 45, 1314–1320 (2006). W. A. Challener, C. Peng, A. V. Itagi, D. Karns, W. Peng, Y. Peng, X. Yang, X. Zhu, N. J. Gokemeijer, Y.-T. Hsia, G. Ju, R. E. Rottmayer, M. A. Seigler, and E. C. Gage, “Heat-assisted magnetic recording by a near-field transducer with efficient optical energy transfer,” Nature Photon. 3, 220–224 (2009). P. Hansen, B. Leen, and L. Hesselink, “Design of a sub-wavelength bent C-aperture waveguide,” Opt. Lett. 32, 1737–1739 (2007). B. Leen, E.-H. Cho, S.-D. Suh, P. Hansen, J.-S. Sohn, S.-H. Choa, and L. Hesselink, “90° bent metallic waveguide with a tapered C-shaped aperture for use in HAMR,” Proc. SPIE 6620, 66200R (2007). L. D. Hutcheson, I. A. White, and J. J. Burke, “Comparison of bending losses in integrated optical circuits,” Opt. Lett. 5, 276–278 (1980). Remcom Inc., XFDTD 6.3 software. K. Kunz and R. Lubbers, The Finite Difference Time Domain Method for Electromagnetics (CRC, 1996). E. D. Palik, Handbook of Optical Constants of Solids (Academic, 1996). J. A. Matteo, Ph.D. dissertation (Stanford University, 2004). L. Landau, E. Lifchitz, and L. Pitaevskii, Electrodynamics of Continuous Media (Pergamon, 1984). S. H. Fan, I. Appelbaum, and J. D. Joannopoulos, “Near-field scanning optical microscopy as a simultaneous probe of fields and band structure of photonic crystals: a computational study,” Appl. Phys. Lett. 75, 3461–3463 (1999). H. Hatano and S. Kawata, “Applicability of deconvolution and nonlinear optimization for reconstructing optical images from near-field optical microscope images,” J. Microsc. 194, 230–234 (1999). E. Komura, K. Shimazawa, K. Tanaka, and H. Hirabayashi, “Magnetic head and magnetic recording method,” Japanese patent application 2005-004901 (01 06, 2005). Fig. 1 The proposed HAMR head structure: (a) HAMR head; (b) light delivery. Fig. 2 Guided modes with varying width: (a) Δ n = 0.004 and (b) Δ n = 0.005 . Fig. 3 Coupling efficiency of the s-bend waveguide with and without the tapered segment. Fig. 4 Coupling efficiency as a function of the entrance width of the waveguide. Fig. 5 The fabrication process of the polymeric channel waveguide. Fig. 6 (a) Top and (b) cross-sectional views of the fabricated polymer waveguide without the upper cladding layer. Fig. 7 Experimental setup for polymer waveguide characterization. Fig. 8 The (a) guiding mode image, (b) peak scanning image, and (c) output spot image of the polymer waveguide. Fig. 9 Measured bending loss of the polymer waveguide. Fig. 10 Change in electric field intensity with respect to the metal layer thickness. Fig. 11 Fabricated C-shaped nanoaperture on a polymer waveguide. Fig. 12 FIB milled probe tip: (a) tilted and (b) top views. Fig. 13 Calculated spot image using the VSNOM method oriented (a) horizontally and (b) vertically with respect to the central waist of the C-shaped aperture. Fig. 14 (a) The waveguide module with the C-shaped aperture and (b) the experimental setup for the NSOM test. Fig. 15 Near-field scattering images from the C-shaped aperture on the polymer waveguide: (a) mismatched and (b) matched polarizations. Fig. 16 NSOM images at various angles of probe tip and C-shaped aperture.